DENVER — Fifteen of the sport’s top international and domestic men’s pro cycling teams, with racers who are hometown heroes and Colorado fan favorites, will compete in the second annual Colorado Classic in August, race officials announced today. The lineup includes four UCI World Tour teams, five UCI Professional Continental squads, five UCI Continental teams, and features the return of the national Team Rwanda Cycling.  The four-day Colorado Classic (Aug. 16-19) will bring men’s cycling teams from six different nations to compete in Vail and Denver. A comparably elite field of women’s teams will be announced in the coming weeks as organizers of the pro bike race continue their efforts to advance women’s cycling alongside the men in Colorado’s annual showcase of the sport. Though team rosters won’t be announced until later this summer, Colorado cycling fans should find several familiar faces in the men’s field. Team EF Education First-Drapac p/b Cannondale includes Taylor Phinney — son of Colorado cycling royalty Davis Phinney and Connie Carpenter Phinney — and teammate Alex Howes of Golden (third place overall in the Colorado Classic in 2017). Sepp Kuss of Durango is one of two Americans on LottoNL-Jumbo, and Trek-Segafredo includes 2016 national champion Greg Daniel of Denver. Highlights from the UCI Pro Continental lineup include UCI American Tour powerhouses Rally Cycling and UnitedHealthcare; and Holowesko-Citadel, home to free-spirited TJ Eisenhart (fourth in 2017) from Utah. The Colorado Classic is sanctioned by Union Cycliste Internationale (UCI) and designated as a 2.HC race — the highest category outside of World Tour races — promising a strong international field. The Colorado Classic is also part of the USA Cycling Pro Road Tour, which showcases the premier domestic road events in the United States. Women’s racing at the Colorado Classic expands from two to four stages in 2018, with routes similar to the men’s race. As a result, the women’s field is also attracting high-caliber teams and riders. The initial lineup of women’s teams will be announced later this month. For more information, please visit www.ColoradoClassic.com.